Directions: From Randolph, take Highway 77, north about 7.5 miles. Turn right (east) onto Swede Creek Road, County 362E, go 2.75 miles. Turn left (northeast) on Swede Creek Spur up the hill. 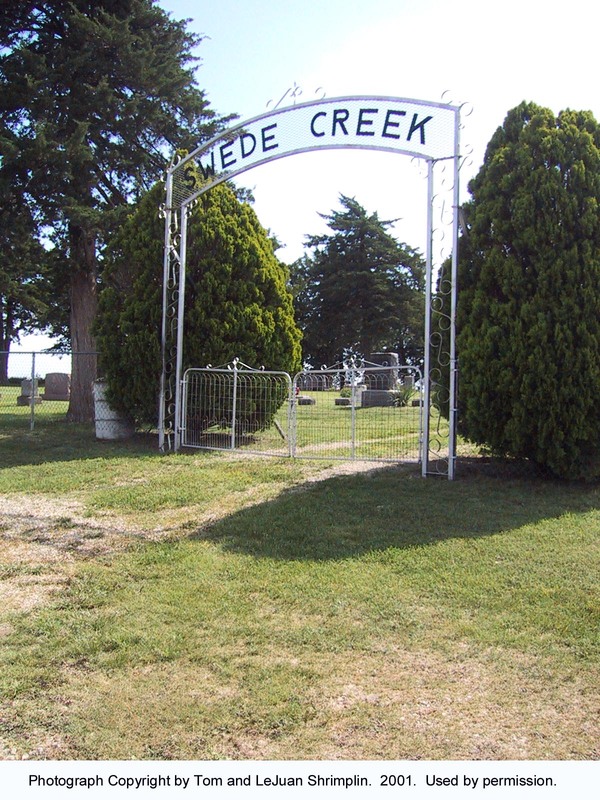 The cemetery is surrounded by native cedars.